Each of the pages describing a taxon in the Amanitaceae has a set of tabs across the top of the area in which information is displayed. When a page is first presented, the selected tab is always the tab marked "brief." This tab selects a short version of the species' description with only the spore measurements and clamp presence/absence on the basidia representing microscopic level details. Macroscopic images (also found with appropriate credits under the tab "images") are presented with the brief description. 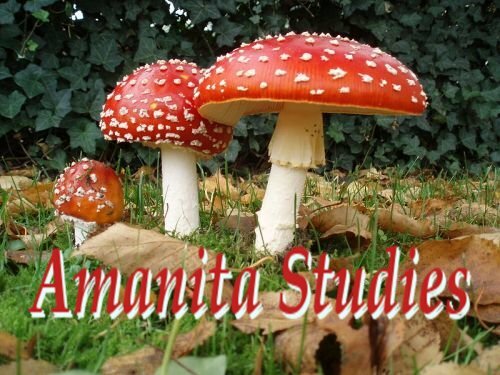 The reader familiar with the former version of the Amanita Studies site will recognize the organization of data and, in general, the content. The level of vocabulary is aimed, where possible, at a general reader, and most technical terminology and notations are avoided. The new design of the site makes it possible to provide technical detail faster than was possible in the past. The site reader will find more species with "full" technical detail as time passes. The detailed descriptions, with all known microscopic characters and (usually) more detailed macroscopic characters are displayed via the "technical" tab ("techtab"). The vocabulary and notations in the technical descriptions are those used by one or both of the editors of these pages in their journal publications. This page is provided to make the "techtab" contents accessible to as broad a readership as possible by explaining something of what is going on in a full technical description. Several standards have been proposed for the abbreviations of the names of authors of fungi. The standard followed on this site (please tell us if you find mistakes) is formerly published as a supplement to the Index of Fungi compiled by P. M. Kirk and A. E. Ansell (1992). This standard is now kept up to date and maintained on the web: Authors of Fungal Names. The biometric variables used by RET are defined in detail elsewhere on this site. In this space we provide a table created by ZLY that allows translation between the notational styles and terminologies of the two editors.